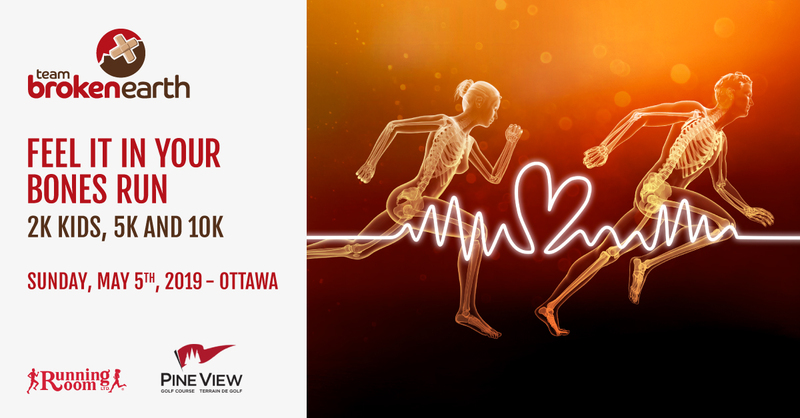 Every participant in the Feel it in Your Bones Run has the opportunity to collect donations for Team Broken Earth. We invite you to create your own donation page to share with your family and friends. Your page will help to promote your fundraising efforts for participating in the run. This tool will enable you to send out an email asking your friends and family to sponsor your bones and help fill out your skeleton by race day. As an incentive, if you raise at least $300 in donations, you will receive free entry to the run. When your Team Broken Earth Gifttool donation page reaches the $300 minimum in pledges, you will be contacted by the Team Broken Earth race administration team to have your entry fee refunded. Click on the button below to Set up a Fundraising Page now.